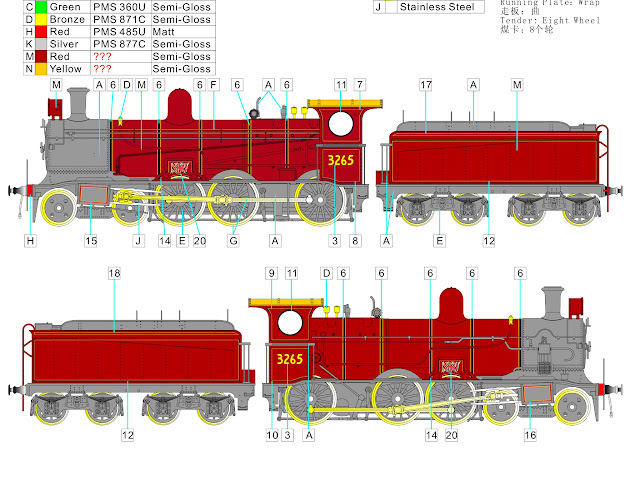 Last Friday we received the artwork for our 32 Class livery variations. 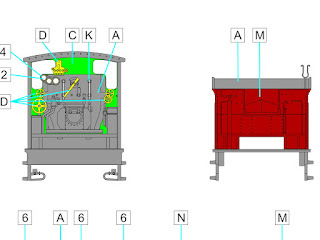 These need to be approved by Ixion's Technical Director Phil Badger, but these images give a good indication of the amount of work that goes into designing the spray painting and pad printing. 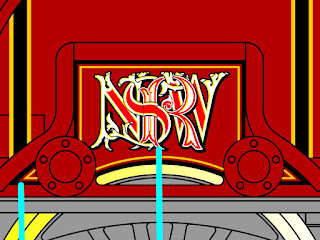 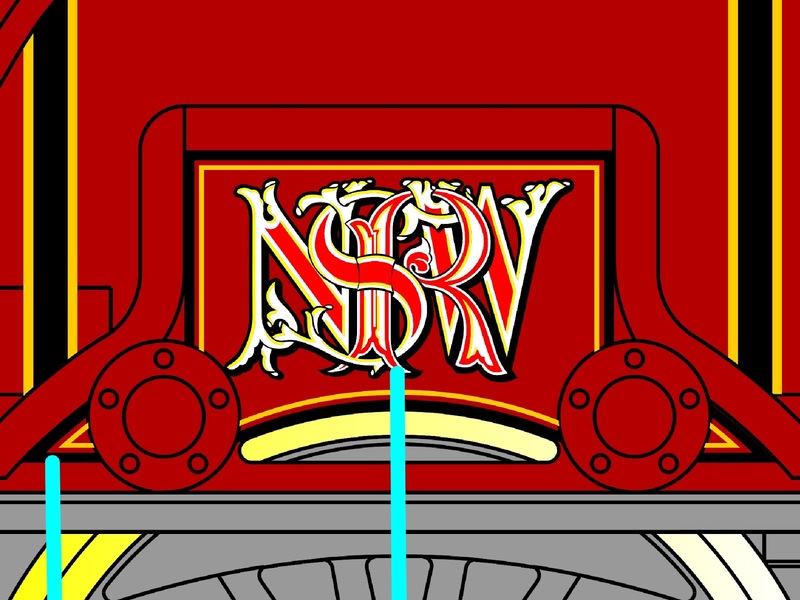 We are especially thrilled with the 'NSWR' emblem on 3265. 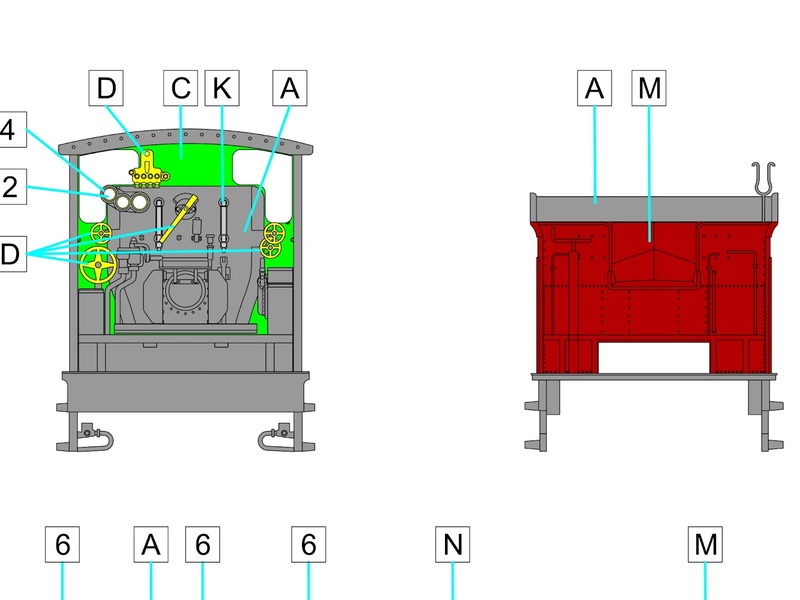 Note that the colours are representative only: the artwork shows which colour goes where, not exactly what the colour is. 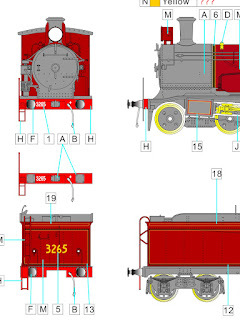 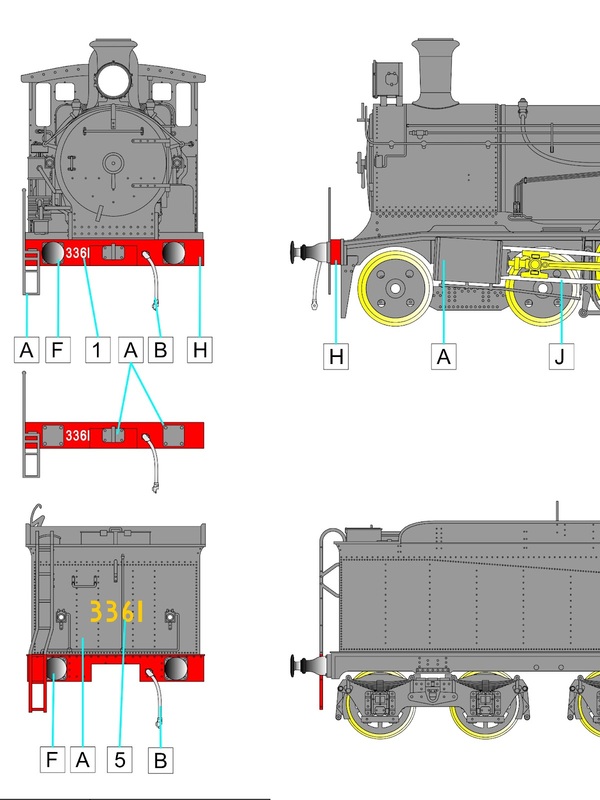 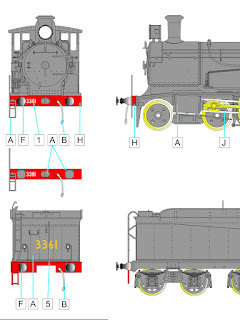 Thus the black locos appear grey, for example. 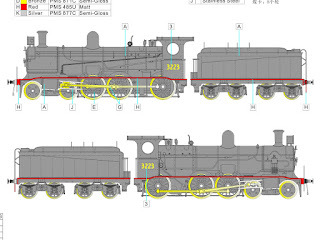 As always, click on the pictures for a larger version.